Are you working on improving your writing skills? Awesome! We support you. We also know that it can be hard to figure out where to start. That’s why we’ve built a few features that can help you pick areas to focus on and track your progress over time. When you write a document using the Grammarly Editor or the Grammarly desktop app, you can see all kinds of helpful statistics about your writing, including word count, depth of vocabulary, accuracy, and readability. You can also see at a glance how your document compares to documents written by other Grammarly users. To access your statistics, hit the Correct With Writing Assistant button and then click Performance. While you’re studying your document’s various scores and stats, don’t forget to scroll down for valuable insights about your vocabulary usage. Want to explore your writing in even more detail? At the bottom of the Performance window, you’ll see an option to download a PDF report. Your report contains statistics about your document, plus a simplified list of all the writing issues Grammarly found in your document. It’s an easy way to tell at a glance where your biggest improvement areas are. Here’s a tip: If you prefer working in a word processor, you can still generate a Grammarly report for your document. Uploading your document to the Grammarly Editor will allow you to see all your statistics while preserving your document’s original formatting. If you’re interested in a bigger-picture view of your writing, don’t miss your Weekly Insights email from Grammarly. Check your inbox at the beginning of each week for a personalized report of your writing activity with Grammarly. You’ll see how many words you wrote with Grammarly in the previous week and how that compares with the weeks before. 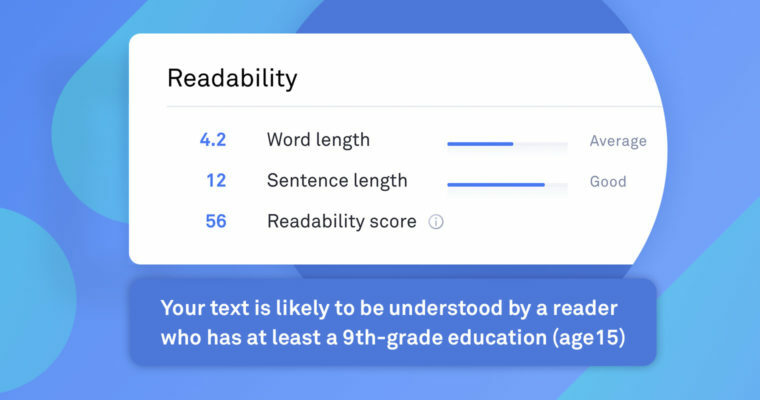 You’ll also get insights about your accuracy, your vocabulary, and how your writing activity compares to other Grammarly users. Whatever your writing statistics tell you, Grammarly is always here to help you write your best.